I stumbled across Londek while walking around Stratford a couple of weeks ago, and I’m so glad that I did. What first drew me in was the brightly coloured array of cakes and sweets on display behind the comfy armchairs in the front window. I thought it was just a coffee shop, until I realised they also serve traditional Polish food. It looked good, smelled good and seemed very popular with the Poles queueing outside the door for a plate of home cooking. And that’s exactly what it is: home cooking. It’s hearty (one dish is more than enough for two), cheap and utterly delicious. They stick to the classics and don’t mess around making it fancy. I’ve been on three separate occasions and all three times it was excellent. 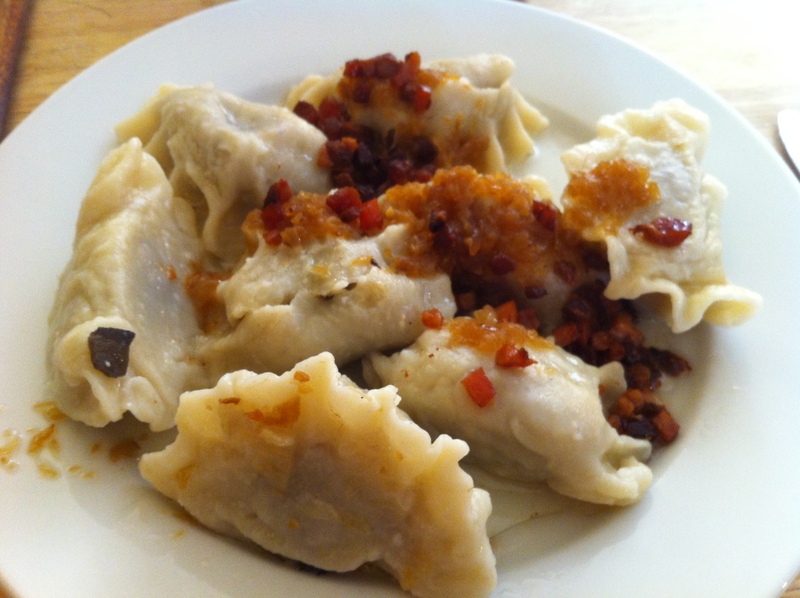 The pierogi – (£6.90) Available in various flavours including blueberry (I went for mushroom and meat). Topped with crispy chunks of fried bacon and sweet onion and carrot. They are freshly prepared so took longer to arrive, but it was well worth the wait. The meat filling was soft, melt-in-the mouth and the mushrooms were tangy and moreish. Potato pancake with meat sauce (Placek po zbójnicku) – (£8.90) Delicious combination – the outside of the pancake was crispy, the inside soft. The meat sauce was thick, savoury and full of falling apart chunks of beef. 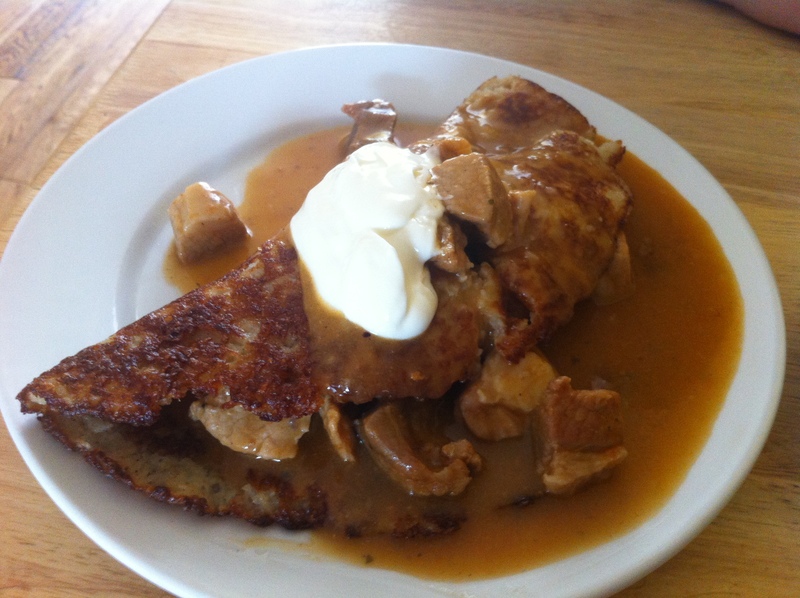 Topped with sour cream. Heaven. This was enough for two. 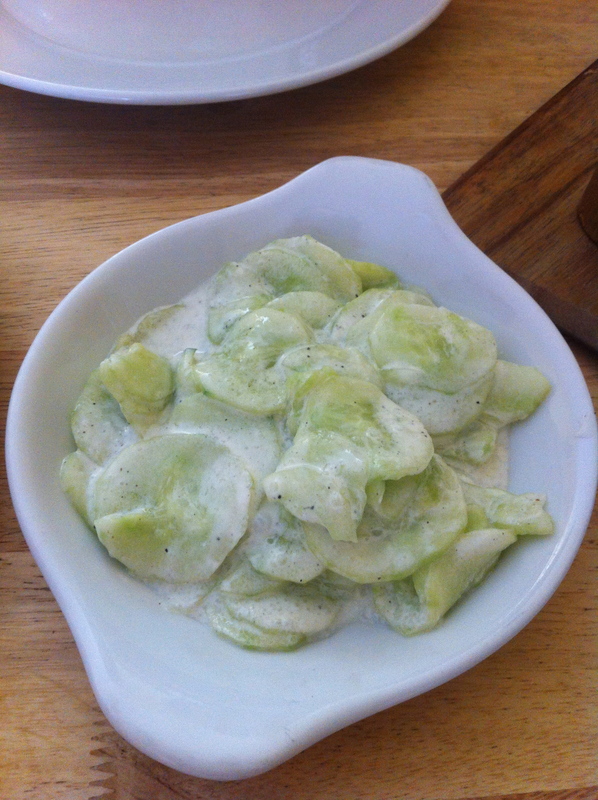 Cucumber salad with sour cream (Mizeria) – I forgot to note the price of this, but it wasn’t much. Really refreshing and a perfect accompaniment to the meat. 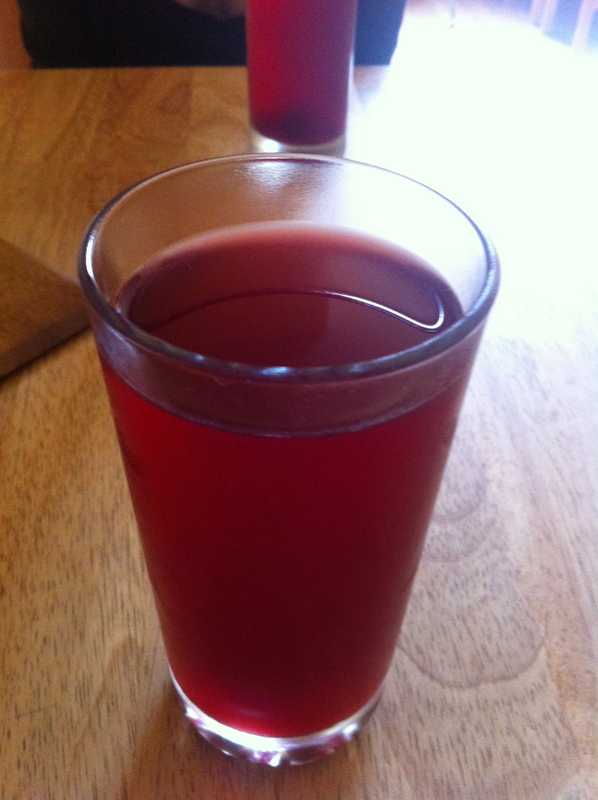 Kompot – a sweet yet refreshing drink made from berry fruits. Tags: kompot, londek, london, mizeria, pierogi, placek, polish, review, stratford. Bookmark the permalink.